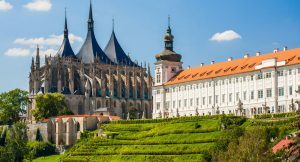 Situated only one hour away from Prague, the city of Plzeň is the fourth largest urban area in the Czech Republic and dominates the region. It’s packed with historic sights and boasts a busy cultural scene. 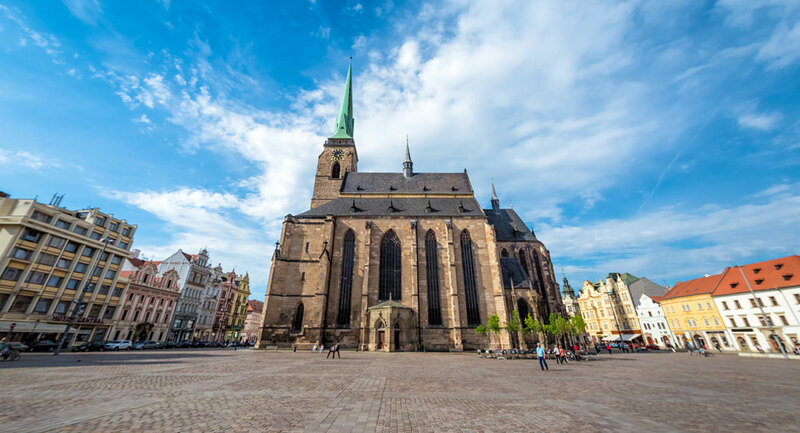 In the town centre, you can admire Cathedral of St Bartholomew with the tallest church spire in the Czech Republic. When visiting Pilsen, you cannot miss the famous Pilsner Urquell brewery. When in 1842, a very clever and quite extraordinary brewer by the name of Josef Groll cooked up some ale using a new method called bottom fermentation, he had no idea it would become the beer against which all others would be measured. The Plzeň district is a place that will be forever associated with a centuries-old tradition of beer brewing, a beverage the Czechs call their “liquid bread”. Reasons to visit: The Pilsner brewery – you will become familiar with the ingredients used, the historical and current brewhouses, and the bottling plant. A real treat is a tasting of filtered, unpasteurized Pilsner Urquell beer straight from the barrel. 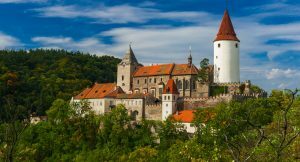 Also visit the Brewery Museum, where you can the typical burgher houses and a historical underground network, built beginning in the 14th century. An 800-meter tour circuit leads through a labyrinth of medieval corridors, cellars, and wells. Visit the highest church tower in the Czech Republic. The second largest synagogue in Europe.